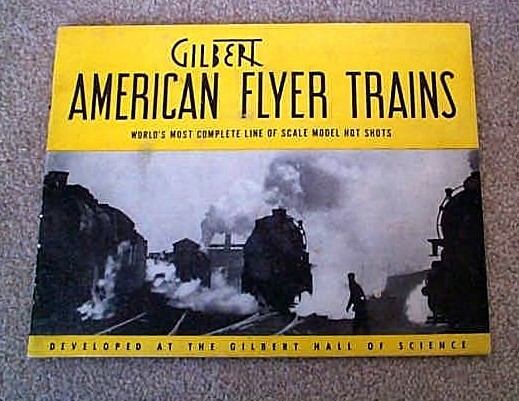 1940 Gilbert American Flyer Catalog (D1333) Excellent Minus Condition - $50.00 : Olson Hobbies, Welcome To The Train Page! 1940 Gilbert American Flyer Consumer Catalog (D1333). Also shown in the Hard to find 584 Bell Danger Signal, and 582 Automatic Blinker Signal. Front cover with 1/2" tear on upper left hand corner. Page 26-27 with small 1/2" paper damage due to being stuck together at one time.